Pretzels for breakfast? Trust us, they’re hot! And we don’t just mean served hot. This is your big chance to get in on one of the biggest food trends since sliced bread. 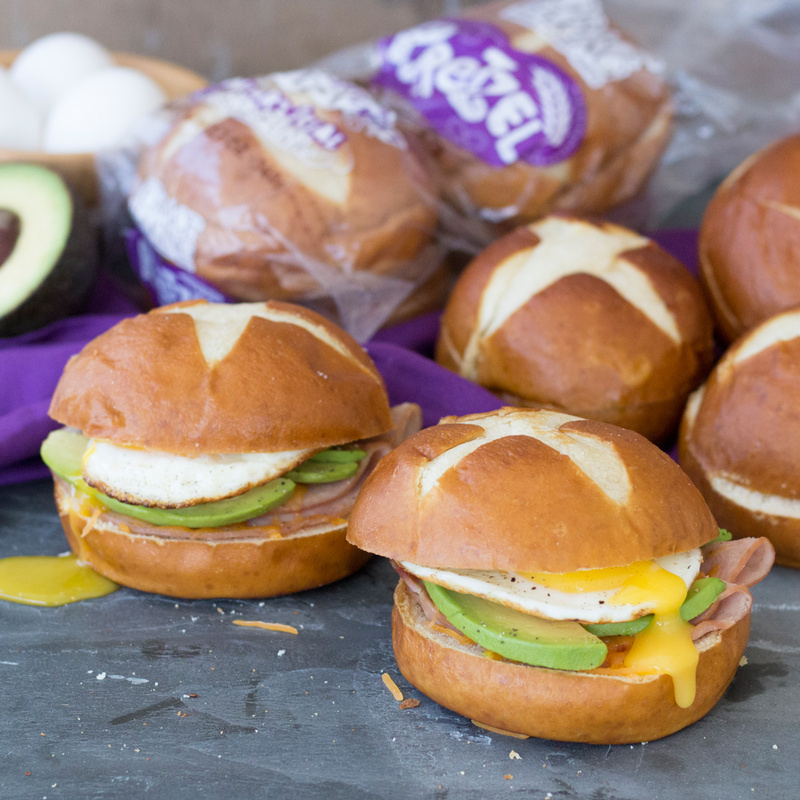 Our Pretzel Bun Breakfast Sandwich is where eggs, deli-thin ham and ripe-to-perfection avocado make their debut in a creation that’ll have you tossing out the dry cereal like yesterday’s news. We don’t recommend you eat this every day; every other day would be fine though. There is one catch… without a bona fide pretzel bun (our Pretzel Bun) this sandwich simply doesn’t work. Fry eggs in a skillet over medium heat until whites are cooked through and yolk is set, but still slightly runny. Set aside. Layer slices of ham and cheese on pretzel bun bottoms. Top each with avocado slices, fried eggs and pretzel bun lids.